Jyväskylä is a city and municipality in Finland and in the western part of the Finnish Lakeland. It is the largest city in the region of Central Finland and on the Finnish Lakeland.Elias Lönnrot, the compiler of the Finnish national epic, the Kalevala, gave the city the nickname "Athens of Finland". 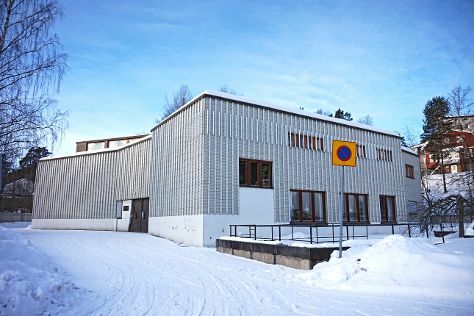 This nickname refers to the major role of Jyväskylä as an educational centre.The works of the most famous Finnish architect Alvar Aalto can be seen throughout the city. The city hosts the Neste Oil Rally Finland, which is part of the World Rally Championship. It is also home of the annual Jyväskylä Arts Festival.As of, Jyväskylä had a population of. The city has been one of the fastest growing cities in Finland during the 20th century. In 1940, there were only 8,000 inhabitants in Jyväskylä. The Jyväskylä sub-region includes Jyväskylä, Hankasalmi, Laukaa, Muurame, Petäjävesi, Toivakka, and Uurainen.EtymologyThe second part of the city's name, kylä, means village. The first part of the city's name, jyväs, has been associated with Taxus, a genus of yews, and the Old Prussian word juwis. It has also been speculated that the word jyväs refers to the sun's reflection of the surface of the water. Jyvaskyla is in Central Finland. Plan my trip to Finland with suggested itineraries provided by Inspirock.